"All the refugees who are living under tents, or who are living in unfinished buildings were really severely hit by this storm...some of the tents are like shacks, so the winter snow is heavy on the roof, and some of them had their roofs collapse on them, so they had to find refuge in neighbouring tents and they had to rebuild, again." As the Syria enters its ninth year of war, half the population remain displaced. UNHCR statistics show there are 5.6 million registered refugees in the region, with children and youth making up half of these numbers. While official registered figures of Syrian refugees in Lebanon dropped to around 995,000 as of January 2018, the Lebanese government and many NGOs have said that the number is closer to 1.5 million. ​With a population of just 4 million themselves, the Lebanese have the highest per capita concentration of refugees in the world, and have been been struggling to accommodate this flood of arrivals. Around a third of refugees (around 360,000) are located in the Bekaa Valley, often living in small makeshift or unofficial camps. Large camps are not permitted by the Lebanese government and as a result, informal settlements of 50-100 families have become commonplace. Across the country, refugees in the Bekaa Valley (and Akkar) face the most poverty, with parents often forced to take their children out of school and into full time work to earn a living. Many of the camps are still without basic services for children, including education. The Lebanese Government have been working with the UN to provide education for all. The main policy has been to enrol refugees into the existing public education system, creating a 2nd shift provision for refugees and encouraging integration. This has not been without its problems. In many areas, refugees vastly outnumber the Lebanese students and there is not the capacity to provide for everyone who needs it. 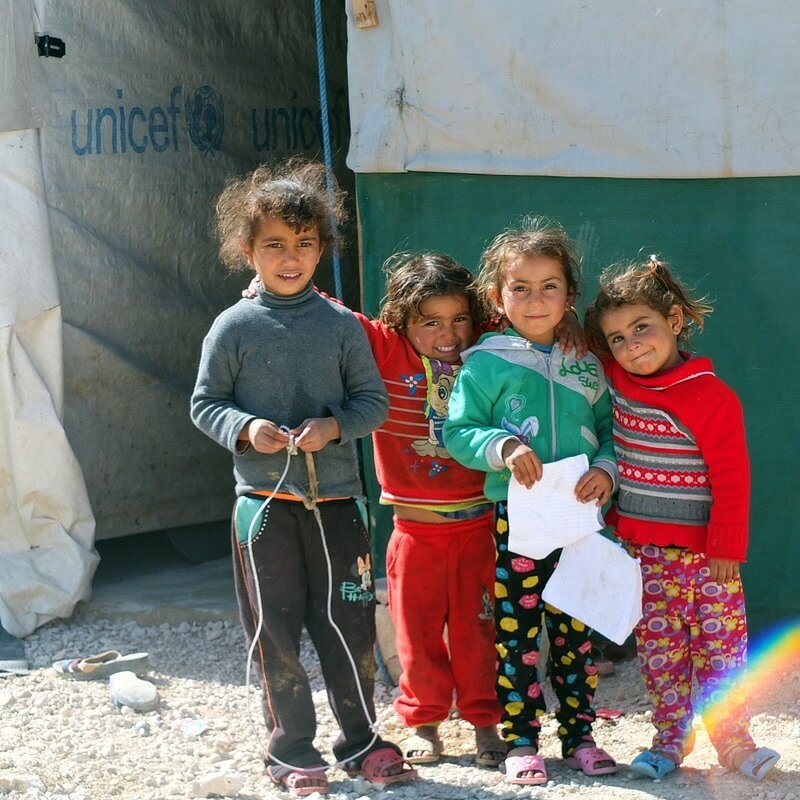 Within the rural Bekaa Valley, public schools are sporadically placed, meaning that access is difficult, and it is estimated that there are more than 250,000 refugee children out of school. There have also been reports of safety issues, harassment, violence and discrimination, which has led to a high dropout rate. Refugee children that do continue to attend struggle with the new and different curricula, language barriers and lack of appropriate infrastructure. There is low teacher capacity, overcrowding, lack of adequate sanitation facilities and limited catch up programmes. 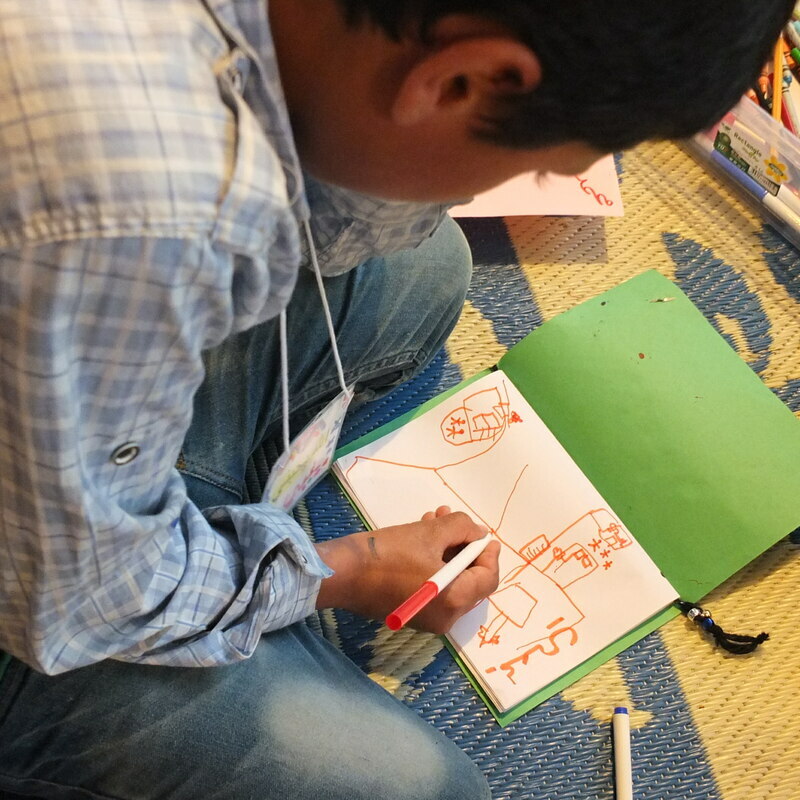 We support education for nearly 300 children, with a bespoke curriculum and trained refugee teachers. 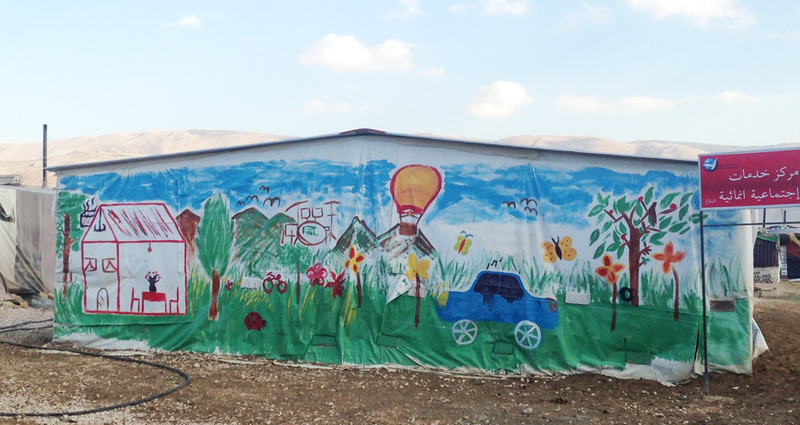 Over the past four years Children on the Edge have been working in partnership with Lebanese NGO - Mercy Foundation, within the refugee communities in Bekaa Valley. Together we are providing quality, child friendly education for Syrian refugee children who are unable to access government or UN school provision. Since 2014, through four tent schools and a Community Centre school in Beirut, we supported education for hundreds of children aged 6 -12. From January 2019 the tent schools have been brought together in one central building in Zahle. Nearly 300 children, together with trained refugee teachers are bussed in from the camps to learn together in a safe, fun environment with lots of space to play outside. ​​Where other projects of this kind bring in teachers from the outside, this model raises up teachers from within the Syrian refugee community. This has created a sense of ownership and provided vital livelihood opportunities. ​The children are following a Syrian and Lebanese, child friendly curriculum in their own dialect. Staff use Montessori techniques to help children re-engage with Arabic, maths, science, history, geography and English. Many of these children have experienced trauma in Syria having witnessed the brutality of war; some of them having lost close family members. The ability to play is crucial for the healthy development of every child, helping them to feel secure, process what they have been through, and tap into their natural resilience. ​Emergency supplies have been provided during the harsh winter weather and, due to camp evacuations by the military, it was necessary to build and maintain a new camp, ensuring safety and stability for 50 refugee families. Their Community Centre in Beirut caters for both Syrian and Iraqi refugees and not only provides education, but is a hub for the wider support of the refugee communities and the Lebanese poor. “School is like their second home. When I give the students time to draw, they draw houses and gardens. It has changed from when they used to draw war, and I see by what they draw now that school makes them feel safer. They like to be here”. Sawson - Refugee teacher at the camp schools.